The number of people researching their ancestry to learn more about who they are and where they came from has grown in popularity with the ease of access to information offered by the internet. The popularity of genealogy has grown to make it one of the most popular online search topics. The desire to learn more about yourself and your ancestors has created a demand for DNA testing services such as AncestryDNA, Vitagene, and 23andMe. DNA testing begins with a swabbing of your inner cheek know as a buccal swab. The swab collects cells to be used for DNA testing. Genealogy testing services provide the swabs and the protective containers to use to return them to the company for DNA testing. Once you collect cells from your mouth, you send the swab back to the company from which the kit was purchased for DNA analysis. Autosomal testing: This test uses 22 pairs of chromosomes to sort identify ethnicity and genetic traits. mtDNA testing: Traces maternal lineage. 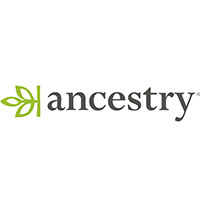 Y-DNA testing: Traces paternal lineage. 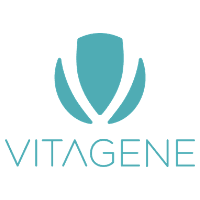 The company doing the DNA testing will send you a written report containing the test results. Results offer clues as to your cultural heritage, including geographic information about your ancestors. This is accomplished by the company comparing your DNA results with information contained in its proprietary database of DNA data to provide ethnic and geographic information. How Are DNA Testing Services Useful? The results produced by DNA testing services could be helpful in confirming a relationship between you and someone you believed to be an ancestor. It can also show that your initial research into your ancestral ties might have been incorrect and lead your research into a different direction. The results can improve the accuracy of the family tree you might be creating as part of the family research you are conducting. Instructions identifying what is contained in the kit, the procedure to follow to collect the sample cells and how to package and return the collection swab to the company for analysis. Swab for collecting cells from the inside of your mouth. Tube with cap to hold the buccal swab once it has been used to collect the sample. The tube might contain a buffer solution to stabilize the sample in preparation for shipping, or you might be asked to add a buffer solution that is included with your test kit. Plastic bag in which to slip the sealed tube with the buccal swab to protect it during shipping. Box or another container for you to use to ship the sample back to the company for testing. Some DNA testing companies ask for a saliva sample instead of a swab of the inside of your cheek. Ancestry DNA and 23andMe are two companies using the saliva sample technique for collecting samples. The basic report offered by genealogy testing services includes information about your ancestry, including geographic regions and genetic populations sharing your DNA. The reports also include Neanderthal ancestry, which matches your DNA against that of Neanderthal DNA scientists have collected and tested, to indicate common ancestry. Some companies conducting DNA testing also include reports of your risk for certain diseases, including certain types of cancer, Alzheimer’s disease, and Parkinson’s disease. The diseases included in the health report are those known to follow hereditary or genetic patterns. Something to keep in mind about reports from genealogy testing services is the importance of the company’s database in identifying cultural and geographical similarities with your DNA. It can happen where information added to the database of the company subsequent to it performing the DNA genealogy testing could result in updates being issued to your original report. 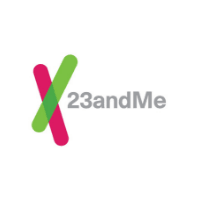 23andMe is one of the companies offering updated reports as information is added to its database. The cost of DNA testing depends on the type of information you want in your report. For example, a report containing only ancestry information can range from $79 to $99. The inclusion of health or medical information could raise the price to as high as $199. Additional costs might apply for shipping and return of the testing kits. Shipping charges can range from $9.95 to $12.95 for each kit you order. Prices for DNA testing services are also affected by the type of tests performed. For example, requesting a company perform Autosomal, Y-DNA and mtDNA testing could increase the cost to $199.95.